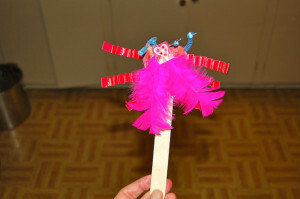 Love Bugs are a great Valentine’s craft project for everyone! 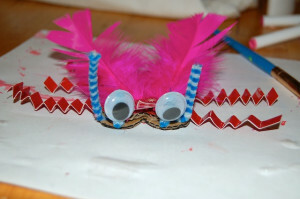 Make Love bug magnets,clips, paper weights, bookmarks, put them on cards… the list is endless and making them is so FUN! 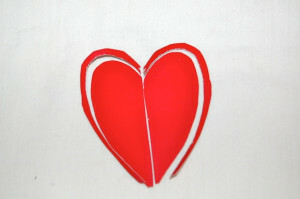 1) If using cardboard or card paper, you’ll need to cut out two heart shapes of the same size. I usually cut out a heart out of paper first, to use as a tracer. 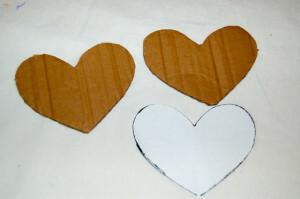 2) Colour or paint the cardboard or wooden hearts. If using paints, let them dry before moving on to the next step. 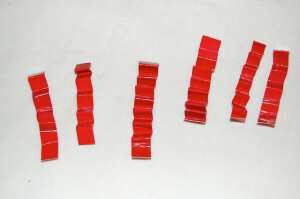 3) Make some legs by cutting and folding six pieces of paper, like an accordion. 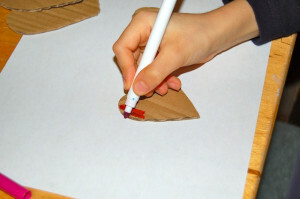 4) Glue the legs on one of the hearts and then glue the other heart on top. Cut out six little hearts to glue on as feet. 5) Cut out some wings, by cutting out a heart out of any colour paper you have on hand. 6) You can make antennae by cutting along the edge of the heart you just cut out so that you have a heart “outline”. Cut in half. 7) Now cut the “wing” heart in half. Now you should have two wings. 9) Let your love bugs dry. Super cute! But, my daughter had a spider crawl up her leg the other night so I don’t think she’s excited about making anything bug-like. Oh no! Those pesky spiders! !